The Silk Tree Hotel Kunming (Kunming Sanmao Chengshi Yinxiang Jiudian) is located at the middle section of Xiaokang Avenue, beside the core commercial center of north Kunming. The hotel is close to several scenic spots. A convenient airport shuttle bus is available. The hotel boasts 213 deluxe guest rooms and suites. 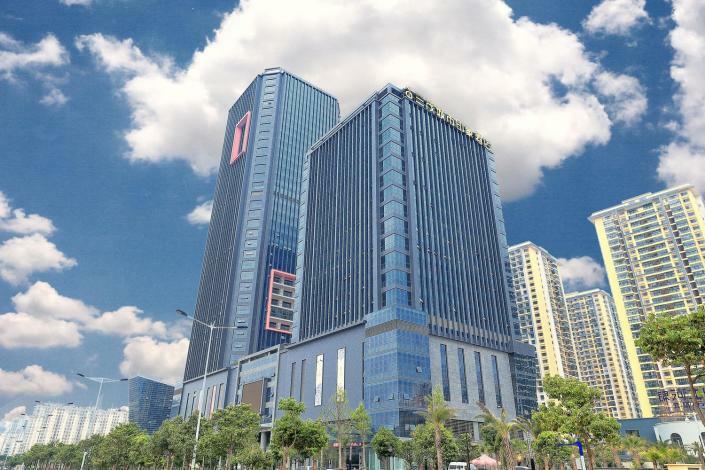 Equipped with state-of -art conference and business facilities, it can fulfill business travelers' satisfaction and becomes the only high end business hotel in Northern part of Kunming. Court aux Nuages Restaurant on 6th floor accommodates maximum 150 guests, where international buffet breakfast, Western and Thai cuisines and Chinese casual dining during lunch and dinner are provided. The roof garden with water features and the open kitchen offers innovative and exciting dining experiences. A team of chefs with abundant international background presents authentic flavors and cultures from Europe, Thailand to Yunnan. Along the Southern Silk Road, the Silk Tree Hotels & Resorts will follow the One Belt One Road national policy and commit to service renovation, tourists' orientation, history and culture inheritance by integrating of Tea Horse Road Culture and Yunnan embroidery.